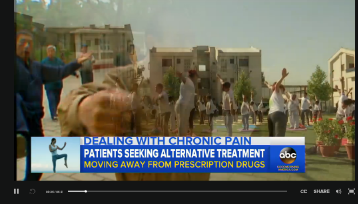 Today I wanted to share with you a recent ABC News report about non-drug options for chronic pain. According to the report, research conducted by the Mayo Clinic is affirming that these alternatives to opioids really do work! I don't know about you but I find the Mayo Clinic to be one of the most reputable medical institutions here in the US. So, without further ado, here is a link to the video!